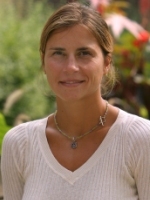 Milena Sterio is Associate Professor at the Cleveland-Marshall College of Law. Much has been written about Somali piracy. Academics on this forum, as well as others, have debated the best options for the prosecution of suspected Somali pirates. Most pirates are detained by powerful navies of maritime nations, such as the United Kingdom, Denmark, the Netherlands, or by joint maritime fleets such as the EU NAVFOR. Yet, most capturing nations are not interested in prosecuting detained pirates in their national courts under true universal jurisdiction, because such prosecutions are expensive, logistically difficult and politically unattractive. In order to avoid the undesirable policy of catch-and-release, maritime nations concluded transfer agreements with regional states interested in opening their national courtroom doors to Somali piracy prosecutions. Over the past five years, transfer agreements have been concluded with Kenya and the Seychelles, and dozens of successful prosecutions have taken place in Mombasa and in Victoria. Mauritius joined the “club” or piracy prosecuting nations recently, by concluding similar transfer agreements with the United Kingdom and the European Union; apparently a transfer agreement is also being negotiated with the United States. However, as of today, Mauritius has not actually accepted any detained pirates for prosecution purposes. Professor Michael Scharf of Case Western Reserve University School of Law and I visited Mauritius from December 3- December 7, where we met with various government officials in order to advise them on best strategies for future Somali piracy prosecutions in Mauritian courts. While I have already blogged about Professor Scharf’s and my trip to Mauritius, I will take this opportunity to explore differences between Mauritius and the two other prosecuting venues, Kenya and the Seychelles, and to recommend that Mauritius consider beginning prosecutions in the very near future.